Ovarian cancer is when cells in or around your ovaries start to grow abnormally and out of control. You may also hear it called cancer of the ovaries. The main treatments for ovarian cancer are surgery and chemotherapy. We just give you an overview here. If you have ovarian cancer, your doctor will talk to you about which tests and treatments are best for you in your particular circumstances. The ovaries are small, oval organs which are part of a woman’s reproductive system. Women have two ovaries, one on each side of the uterus (womb). In women who still have periods, ovaries release an egg every month. The ovaries also make the female hormones oestrogen and progesterone. Ovarian cancer may affect one or both of your ovaries. Sometimes, it spreads more widely in your abdomen (tummy) or, more rarely, to other organs such as your liver, lymph nodes and lungs. Over 7,300 women in the UK are diagnosed with ovarian cancer each year. There are several types of ovarian cancer. These affect women of different ages and are treated in different ways. Epithelial ovarian cancer is the most common type, causing nine out of 10 ovarian cancers. This cancer develops in the cells covering your ovaries and the ends of your fallopian tubes (the tubes leading from your ovaries to your womb). Non-epithelial ovarian cancer is much less common and usually affects younger women. It includes cancers that grow from the cells in your ovary that make eggs. Your doctor will tell you which type of ovarian cancer you have, and how that will affect your treatment options. Remember that there can be many reasons for these symptoms, other than ovarian cancer. If you do develop any of these symptoms though, and they last for longer than a few weeks, contact your GP. Your GP will ask you about your symptoms and examine you. They may also ask you about your medical history and whether anyone else in your family has had breast or ovarian cancer. Depending on what symptoms you have and how long you’ve had them, your GP may arrange for you to have a blood test. This is to check for a protein called CA125. Your level of CA125 can be high if you have ovarian cancer, although other conditions can also raise your CA125 level. Your GP may ask to examine you internally to check your womb and ovaries. They may also organise some further tests, such as an ultrasound scan to view the inside of your abdomen and pelvis. They may refer you to a gynaecologist (a doctor who specialises in women’s reproductive health). Your gynaecologist will recommend more tests. These tests will help them find out whether or not you have ovarian cancer. If you do, you’ll need further tests to see how large the tumour is and whether it has spread outside your ovaries. Tests may include a procedure to remove a sample (biopsy) of your ovary and perhaps other tissues to test for cancer cells. Finding out how far your cancer has spread is called staging. Staging can help doctors to estimate how your cancer is likely to progress, and what’s the best course of treatment for you. You can find out about the various stages of ovarian cancer from the organisations listed below under ‘other helpful websites’. Your doctor will explain each test they recommend and why it’s needed in your individual circumstances. If you have any questions, just ask. A team of doctors and other cancer specialists will be involved in planning your care. Your treatment will depend on the type of ovarian cancer you have and how far it has spread. It will also depend on your general health, whether you plan to have children and other issues personal to you. Most women with ovarian cancer have a combination of surgery and chemotherapy. You may have surgery first and then chemotherapy, or vice versa, depending on what your doctor thinks will work best for you. Almost all women with ovarian cancer have surgery. The aim of surgery is to remove as much of the tumour as possible. This is called ‘debulking’ surgery. It usually involves removing both ovaries and your womb – this is a total hysterectomy. Your surgeon may also remove some surrounding tissue, perhaps including nearby lymph nodes. If the cancer hasn’t spread beyond your ovary, and you want to have children in future, you may be able to have a smaller operation. Your surgeon may remove just your single affected ovary and fallopian tube. Chemotherapy is a treatment for cancer that uses medicines to destroy cancer cells. The exact chemotherapy treatment you have will depend on your type and stage of ovarian cancer. Usually, you’ll have a course of chemotherapy treatment. This involves having several doses of chemotherapy medicines at regular intervals over a period of weeks. Your doctor will give you information on the type and course that’s best for you. You may be offered chemotherapy before surgery to shrink the tumour in preparation for surgery. Or your doctor may offer you chemotherapy after surgery to destroy any cancer cells that weren’t removed by the operation. Your doctor may also suggest chemotherapy if there’s a chance that your cancer may return. If your ovarian cancer comes back (called a relapse), you may be treated with the same chemotherapy medicine or a different one. This will depend on when your relapse occurs and whether the cancer stops responding to your previous chemotherapy medicines. Radiotherapy uses radiation to destroy cancer cells. It’s not often used to treat ovarian cancer but your doctor may offer it after surgery to destroy any remaining cancer cells. You’ll need to attend hospital appointments and have regular check-ups after your treatment to see if your cancer comes back. It’s important not to miss these appointments. If further cancer is found, you may be able to have more treatment to remove it. Doctors don’t yet fully understand what causes some women to develop ovarian cancer. But they do know that certain things can make you more likely to develop it. The genes you inherit seem to be an important factor. For instance, you’re more likely to develop ovarian cancer if you have a family history of ovarian or breast cancer. You’re also more likely to develop ovarian cancer if you inherit faulty genes called BRCA1 and BRCA2. Ovarian cancer becomes more common as women get older. Most cases happen in women who have had the menopause. It seems that taking certain types of hormone replacement therapy (HRT) may increase your risk of ovarian cancer. If you use HRT, or have used it in the past, and are worried about your ovarian cancer risk, ask your GP for advice. Stopping smoking and losing excess weight may help to reduce your risk of ovarian cancer, as well as a number of other cancers. These are also important for your general health. However, it’s not possible to completely prevent ovarian cancer just by making changes to your lifestyle. If a close relative (such as your mother or aunt) has had breast or ovarian cancer before the age of 50, let your GP know. They may refer you to a genetic counselling clinic. Specialists at the clinic will be able to assess your risk and carry out tests for the BRCA1 and BRCA2 faulty genes. If you test positive for these genes, ask to be referred to a gynaecologist who specialises in treating women in this situation. They’ll talk to you about treatments to reduce your risk of ovarian cancer. These include taking oral contraceptives and surgery to remove your ovaries and fallopian tubes (risk-reducing surgery). Being diagnosed with ovarian cancer and facing treatment can be distressing for you and your family. An important part of cancer treatment is having support to deal with the emotional aspects as well as the physical symptoms. Specialist cancer doctors and nurses are experts in providing the support you need. Talk to your doctor or nurse if you’re finding your feelings hard to cope with. Everyone has their own way of coping. But for further support and advice you may find it helpful to contact one of the well known cancer organisations or visit their websites. They have information about most types of cancer – often in more detail than we can go into here. Some have a telephone helpline you can ring, or an online forum you can join for a chat with others in your position. There may also be local groups where you can meet other people with similar medical issues, or other carers. Your cancer team may know of some. See our section ‘other helpful websites’ below for contact details of relevant organisations. You may also find our general cancer articles helpful. Are there any ovarian cancer screening programmes? Are there any ovarian cancer screening programmes? No. Unlike breast cancer and cervical cancer, there isn’t a national ovarian cancer screening programme at the moment. This is because tests to spot early ovarian cancer aren’t good enough yet. There is a blood test for ovarian cancer – it looks for a substance called CA125. This can be high if you have ovarian cancer. But your levels of CA125 can also be high for many other reasons – for example, if you have fibroids or endometriosis. And it also doesn’t always pick up on cancer if you have it. Because of this, the test isn’t used to look for ovarian cancer in women who don’t have symptoms. However, your GP can refer you to a local genetics service for genetic screening if you’re at a high risk. See our section on prevention above for more information. Can ovarian cancer come back after treatment? Can ovarian cancer come back after treatment? The aim of surgery is to remove as much of your cancer as possible. It may be possible to remove all of your cancer but sometimes some of the cancer cells are left behind. It’s still possible for ovarian cancer to come back even if you’ve had an operation to remove your ovary. This is because the cancer may have spread beyond your ovary by the time it’s diagnosed. Even if you had your ovary removed, some cancer cells may already have spread into other parts of your body. You may have chemotherapy after your operation to destroy any remaining cancer cells. Sometimes, this doesn’t work well and the disease doesn’t improve. If this happens, your doctor will then discuss alternative treatments with you. It’s important to attend hospital appointments after your operation and have regular tests to see if any of the cancer remains. If further cancer is found, you may be able to have more treatment to remove it. It’s important to go back to your GP if you develop any new symptoms that could mean the ovarian cancer has returned. See our section on symptoms above for more information about these. Does using talcum powder cause ovarian cancer? Does using talcum powder cause ovarian cancer? Many studies have looked to see if there’s a link between using talcum powder and getting ovarian cancer. The suggestion is that, if you use talcum powder around your genital area, the powder could travel up inside to reach your ovaries. The results from these studies have been mixed. Some find that using talcum powder increases the risk of ovarian cancer; some find no link. Many of the studies that find a link rely on women with ovarian cancer remembering whether or not they have used talc in the past. Experts know that can make it tricky to get true results. This is because people with medical conditions like cancer tend to think hard about what might have caused them. They may remember things they’ve done over the years in more detail than others who don’t have that condition. So doctors aren’t sure at the moment. But even if talc does increase the risk of ovarian cancer, the risk is probably very small. Other factors such as age and smoking are much more important. 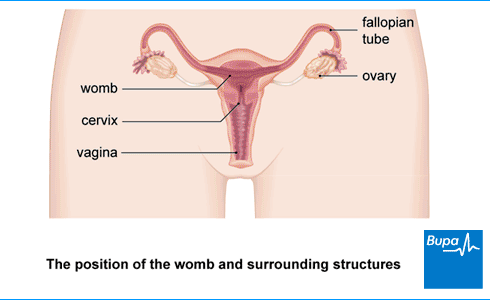 See our section on the causes of ovarian cancer above for more information. How does the pill affect my risk of ovarian cancer? How does the pill affect my risk of ovarian cancer? Taking the contraceptive pill at any point in your life reduces your chance of getting ovarian cancer. The contraceptive pill works by stopping you from ovulating every month. This is known to reduce your risk of ovarian cancer – your risk is halved if you take the contraceptive pill for five years or more. Once you stop taking the contraceptive pill, it carries on protecting you from ovarian cancer for at least 20 years. A hysterectomy is an operation to remove your womb (uterus). You may be offered a hysterectomy if you have a condition that affects your reproductive system.